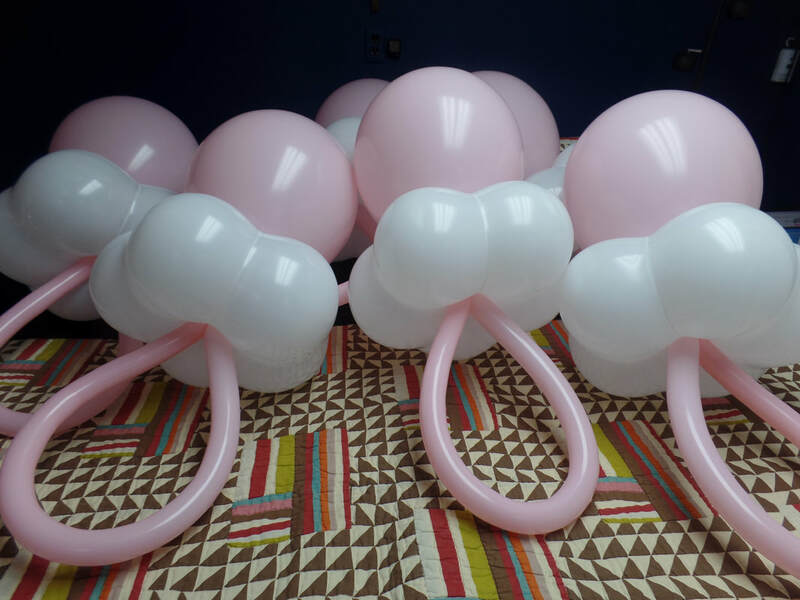 These balloon pacifiers are available for pick-up. Great inexpensive baby shower decoration. You can hang them from the ceiling, place on walls, etc.